Happy New Year!! After a whirlwind of traveling and meetings during the holiday season, my schedule is finally calming down for once; it is finally allowing me to sit down to write again after a long hiatus on the blog…. I can’t be happier, this is all I want to do during this chill weekend at the ranch. Because of all the traveling, I didn’t get to exchange presents with Chris till New Year’s Eve, and guess what I got as one of my presents – cookbooks with 365 Recipes for Every Day of the Year!! 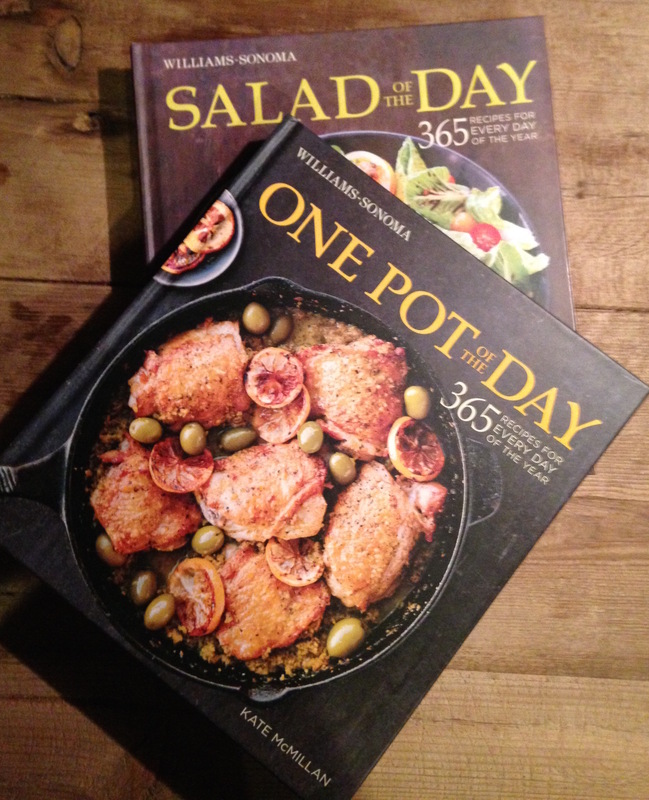 I love to cook, so I’m very excited about the gift, but how brilliant of him to give me cookbooks? I’d say it’s more of a gift that “keeps on giving” for himself than a gift to me….. well played, I say, well played! 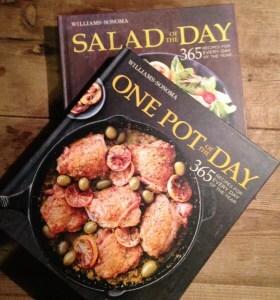 The cookbooks are “Salad of the Day” and “One Pot of the Day” from Williams Sonoma, they are really awesome in the sense that all the recipes are mapped out according to the seasons, so you get to use to the proper ingredients that are actually in season, and they are all fairly easy and straightforward. Most importantly, they are all practical enough for modern day busy women like me! 1). 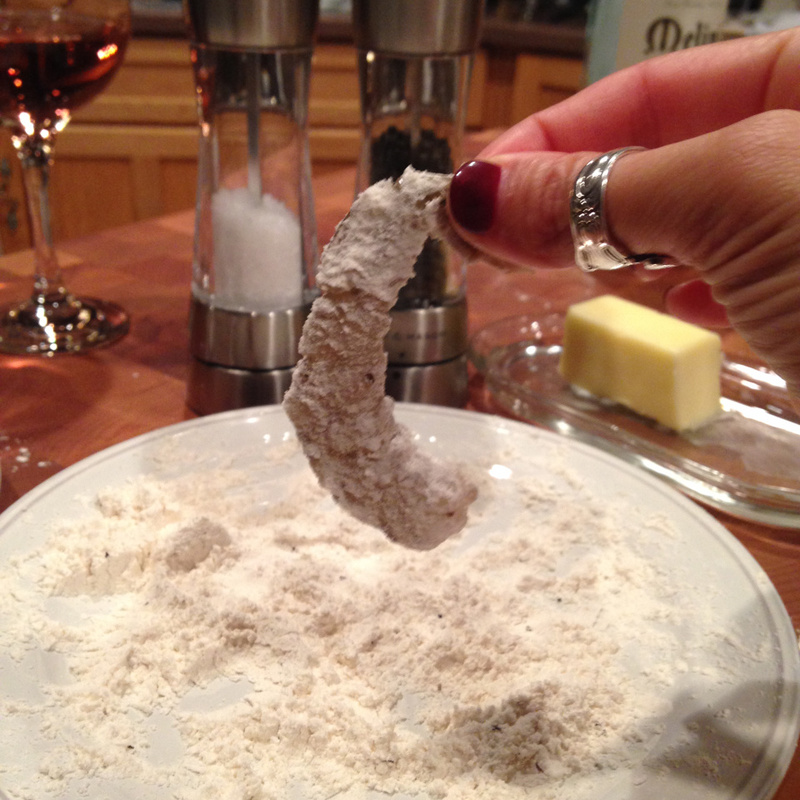 In a shallow bowl, stir together the flour, salt and pepper. 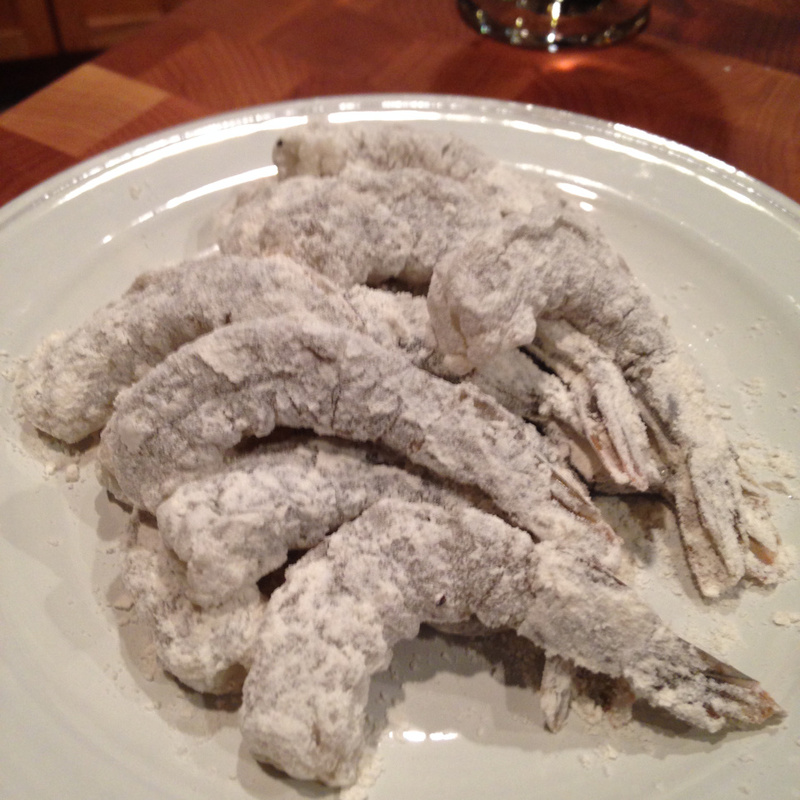 Toss the shrimp in the flour mixture to coat evenly, shaking off the excess. 2). In a large frying pan, heat the 2 Tbsp oil over medium-high heat. 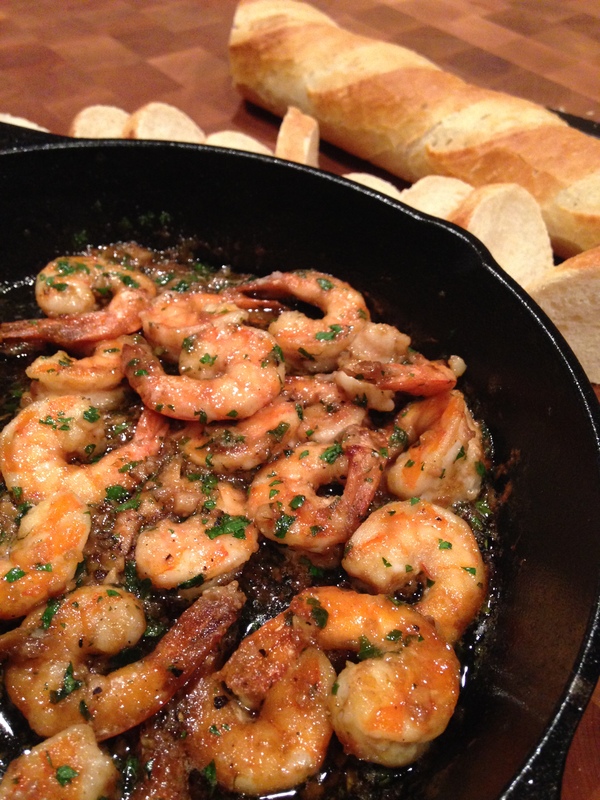 Add the shrimp to pan and cook, turning occasionally till opaque throughout, about 3 minute. Transfer to a plate and tent with foil to keep it warm on the side. 3). 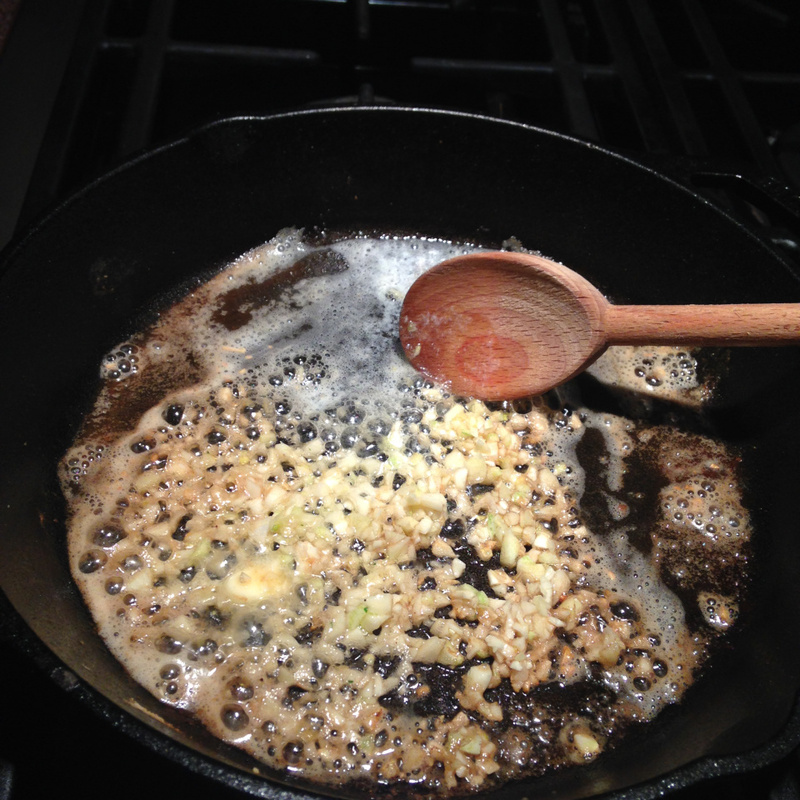 Reduce the heat to medium-low, add 2 Tbsp of the butter and the garlic to cook, stirring frequently until the garlic softens and is fragrant but not browned, about 2 minutes. Add the wine, lemon zest and juice and bring to a boil over high heat. Cook until reduced by half, about 1 minute. 4). Reduce the heat to very low, whisk in the remaining butter, I Tbsp at a time, letting each addition soften into a creamy emulsion before adding more. 5). 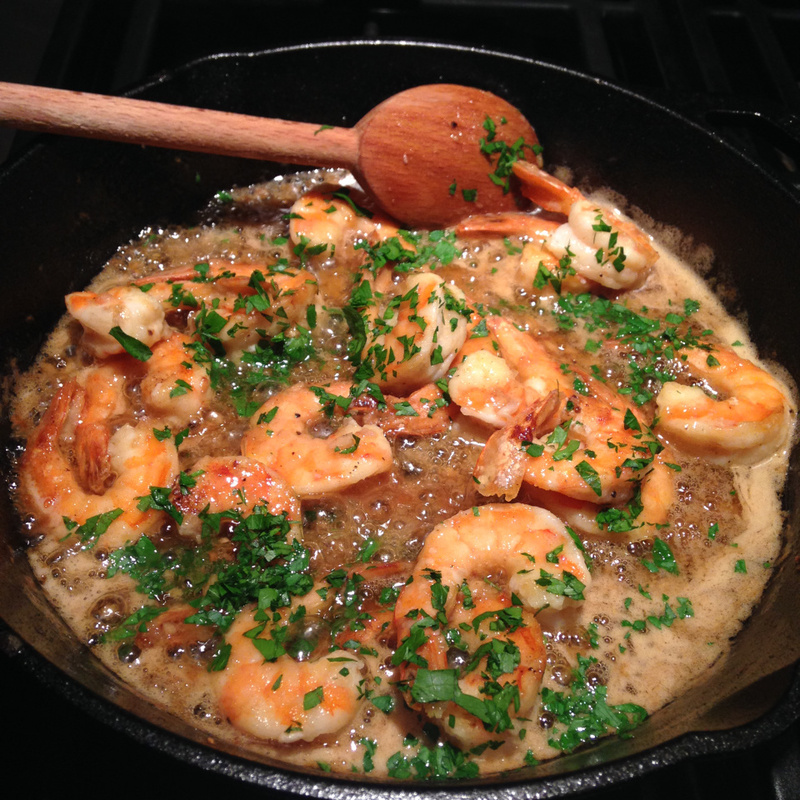 Return the shrimp to the sauce and mix gently to coat well. Remove from the heat and season with salt and pepper. Sprinkle with the parsley and serve. 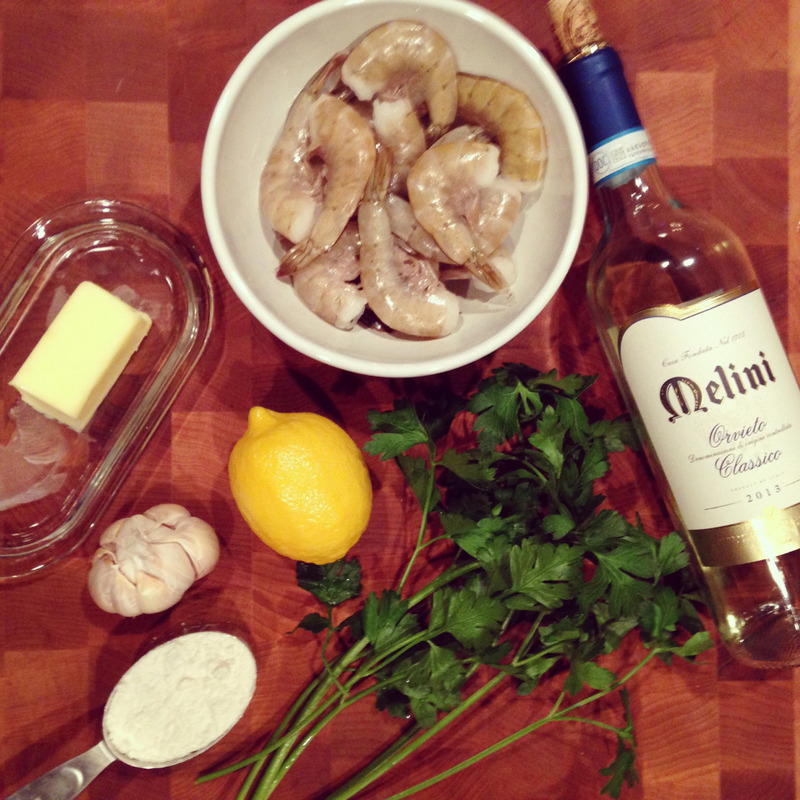 Shrimp Scampi is often served over pasta, which makes a very hearty and comforting dish. We didn’t bother to make pasta; we simply served it as it is with some freshly based French baguette – nothing beats tearing apart that crusty bread with the steam still coming out from the soft center and dipping it into the garlicky butter sauce – ahh, need I say more? Pair the dish with a bottle of crisp white wine to cut the grease, it is amazing how simple flavors can bring such high satisfaction! The amount of butter in this recipe can be a little bit overwhelming for those who want to maintain a healthier lifestyle. To make a lighter version of the dish, use 2 Tbsp to cook the garlic till fragrant, add about 2 Tbsp of flour to the pan and stir constantly till it forms a smooth uniform paste (the so-called white roux). Slowly add the wine, lemon zest and juice and stir constantly to avoid lumpy texture. Instead of another 6-10 Tbsp of butter, use chicken stock instead to finish the following steps. 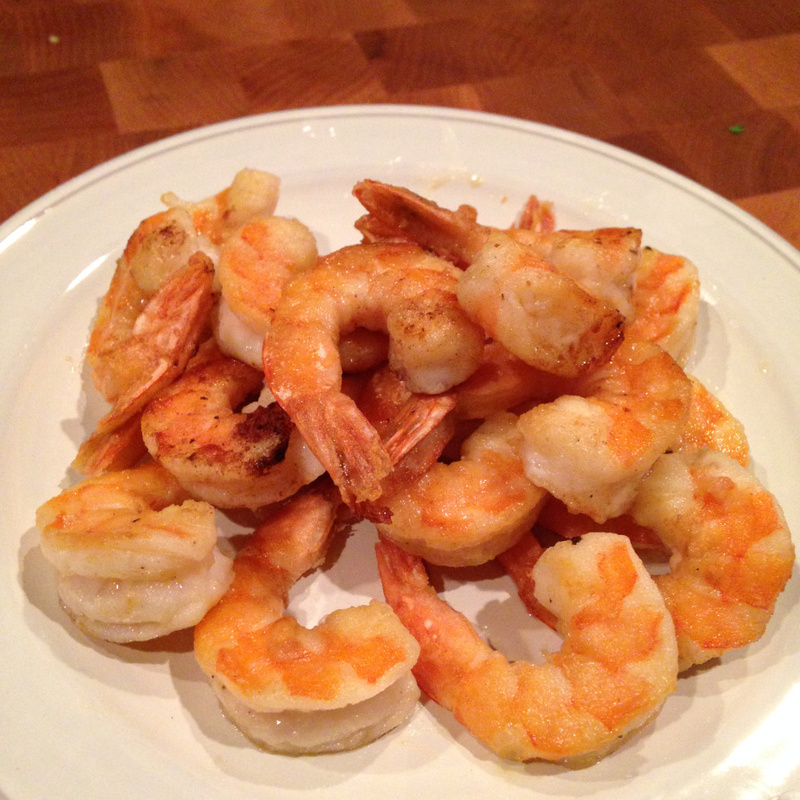 The end product (obviously) won’t be as buttery as the original scampi, but flavors holds up pretty well, and it contains a lot less guilt! Scallop are good with this sauce too, if you want to change things up a little. Happy New Year!! After a whirlwind of traveling and meetings during the holiday season, my schedule is finally calming down for once and allowing me to sit down to write again after a long hiatus on the blog…. I can’t be happier, this is all I want to do during this chill weekend at the country house. Because of all the traveling, I didn’t get to exchange presents with my man till New Year’s Eve, and guess what I got as one of my presents – cookbooks with 365 Recipes for Every Day of the Year!! I love to cook, so I’m very excited about the gift, but how brilliant of him to give me cookbooks? I’d say it’s more of a gift that “keeps on giving” for himself than a gift to me….. well played, I say, well played!